When it comes to your pool business, a Remodel Before/After Project Slider can be an effective tool into showcasing your pool renovation projects, 3D designs and completed projects to share your portfolio and motivate potential clients to take action. Images are effective in showing results and progress to a potential pool customer. Before and after images are especially effective in giving them a true snapshot of your capabilities. 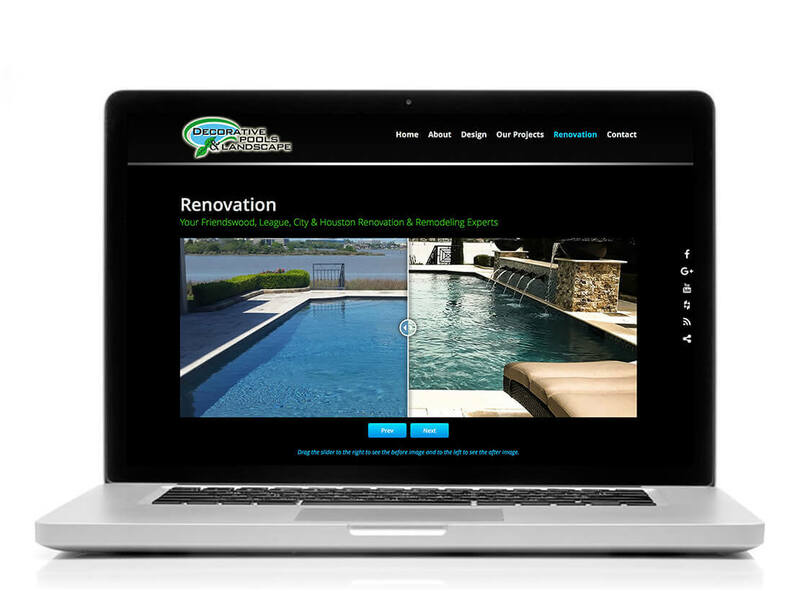 Showcase your pool renovation projects, 3D designs and completed pool projects with our Before/After Slider. This mobile-friendly interactive online tool allows your customers to slide back and forth on their computer, tablet or mobile screen to experience your before and after photos firsthand. Motivate People to Take Action. Before/After Sliders allow your customers to see your amazing work and show them the effectiveness of the changes you’ve completed. They provide clients with the promise of the beautiful changes you’re capable of completing in their backyard. Encourage Engagement. Interactive features on your website encourage engagement. Engaged customers tend to stay on your site longer. Mobile Friendly. Our Before/After Sliders are mobile friendly and compatible with any viewing device.